I am happy to share that I received 2 awards which are forwarded by my friend & co-blogger Mrs. Manjula Bharath. She has a wonderful space called Desi Fiesta, which has innovative vegetarian recipes. 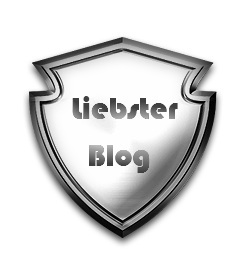 Please visit her blog and encourage her to achieve more awards in this blogosphere. Sorry Manju!!! I must honour you by posting this award immediately, but sorry I couldn't. Thank you very much Manju !!! Answer 11 Questions that the nominator sets for you . Choose 11 deserving bloggers and link them in your post. Go to their blog and inform them about this. 1. Describe you in one line? - Sensitive girl. 3. What is your Aim? - I want to be a good wife to my husband as well as mom for my lil. prince forever. 6. The person whom you miss desperately, why? My family. They are in India. We are here in USA. 7. Most memorable moment in your life? My first kiss on my lil. prince's left cheek, after his first bath!!!!! 8. Social Networking in your view? It has both advantages & disadvantages to the public. 9. Do you believe in Love at first sight? if no why? 10. One thing you like to change about yourself? 11. Your views on my Blog? You have wonderful and innovative recipes on your blog. I love your recipes dear!!! Please friends do visit her blog, I'm sure you all will love to visit her space again & again!!! This sunshine award shared by Manjula Bharath from Desi Fiesta. Thank you very much Manju!!! 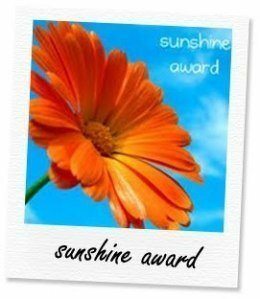 The Sunshine Award is a lovely orange flower that bloggers give to other “bloggers who positively and creatively inspire others in the blogosphere”. You must answer some questions and nominate 10 fellow bloggers and link their blogs in your post. Let the people you have nominated know that you have nominated them. He he he.. No idea!!! 5. What are your Facebook and Twitter URLs? 7. What was your favourite vacation? 11. What is your passion? I am going to share both the awards with my co-bloggers who is having wonderful space in this blogosphere. If you accept these awards, its my pleasure !!! Congrats on ur awards dear:) And thank u so much for passing it to me!!! Thanks dear!! you are welcome. Congrats Dear .....Great to know more about you !!! Congrats dear. I am your new follower.